You will need a PDF reader to view and print these files. A good one can be downloaded free from Foxit at http://www.foxitsoftware.com/ (hold down the shift key and click to open this link in a new window). 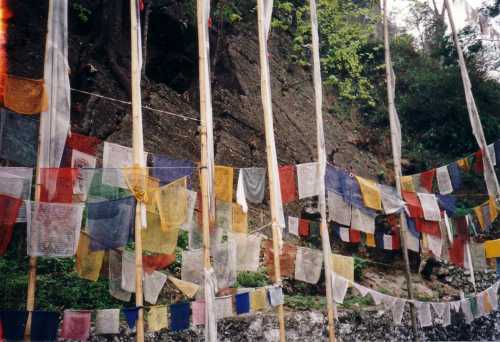 Practice text passages intended for recitation are given in Tibetan, phonetic transcription, and English translation. 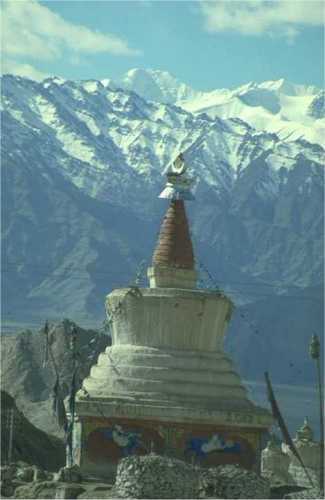 Other texts or passages are in Tibetan and English only. 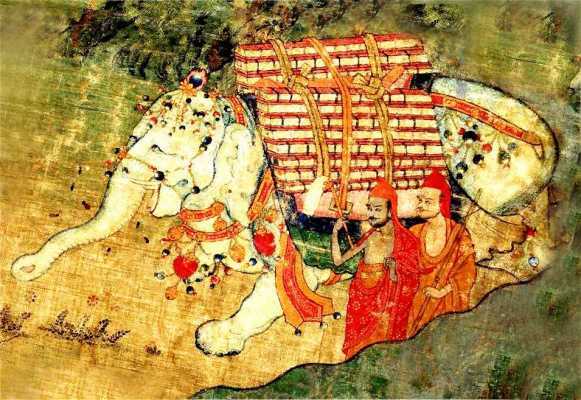 No need to trek to India to fetch texts on elephant back these days, just click on a title to view them! This Chöd Practice (updated September 2017 with minor revisions), entitled "The Loud Laugh of the Dakini", is from the Longchen Nyingthig cycle of terma teachings revealed by the master Jigme Lingpa (1729-1798). Chöd means "cutting", and is a powerful, dramatic practice of cutting through ego-attachment and delusion by visualising offering up one's body to malevolent spirits and karmic creditors. 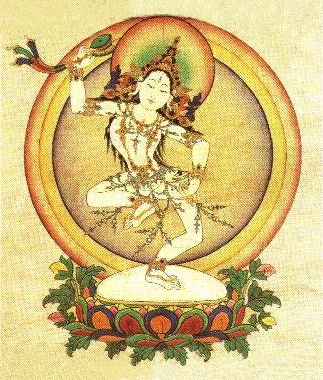 Machig Labdrön, who lived in the eleventh century AD, is probably Tibet's most famous female practitioner of Chöd. Newly-translated and widely published here for the first time, Dza Patrul Rinpoche’s unique mock-ritual satirises bogus Chod practitioners. A very funny piece, but to get the jokes one does need some understanding of the principles and liturgy of (real!) Chod. Patrul’s own instructions on Chod can be found in Chapter Five of his Words of my Perfect Teacher. Many thanks to Eric Forgeng for permission to revise his original draft translation. This text is very probably the same as the "Wish-fulfilling Jewel", another "lost" text from the thirteen early Dzogchen Mind Series works that I studied for my PhD. For more information, please see my article from the October 2009 issue of the Revue d'Etudes Tibetaines. 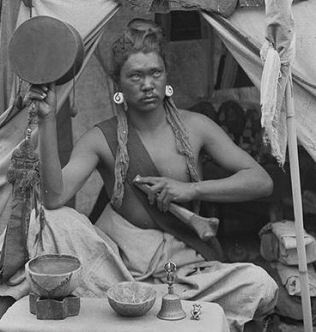 Here is the Tibetan . 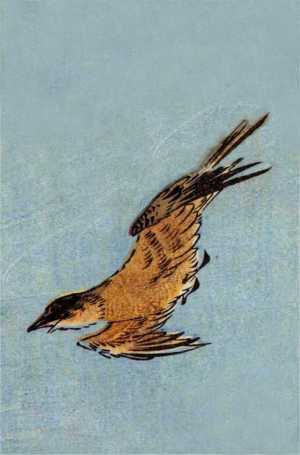 "The Cuckoo of Awareness" (Rig pa'i Khu Byug), together with a commentary, is found among the Dunhuang manuscripts at the British Library. 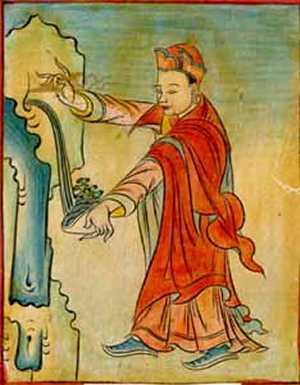 The root text is also the first in a list of five early Dzogchen translations attributed to Vairocana, a contemporary of Padmasambhava (eighth century C.E.). Numerous translations of the root text are already available, but I have not seen any others of the Dunhuang commentary apart from that in Samten Karmay's "The Great Perfection", (Brill, 1988). At least the first section of the commentary was possibly written by Vairocana himself. A modern, and very helpful commentary on the text is included in Namkhai Norbu Rinpoche's "Dzogchen, the self-perfected state" (Snowlion, 1996). The Tibetan as I have given it faithfully follows the original manuscript (at the IDP), including its occasional non-standard spellings. This translation is provisional, and I will likely revise it in the future. The Small Hidden Grain (sBas pa'i rGum Chung) by Buddhagupta is one of the very early Dzogchen texts among the Dunhuang documents at the British Library. The main theme of the text is the Enlightened Mind. It is composed of three elements: an introduction, the main text (written in red ink in the Tibetan) and interlinear notes. As these notes appear to preserve the essential points of an oral teaching on the text, they are of especial interest. I have therefore tried to show the relationship of the notes with the text as clearly as possible, by following the layout of the original in the Tibetan , and in the footnotes to my English translation. 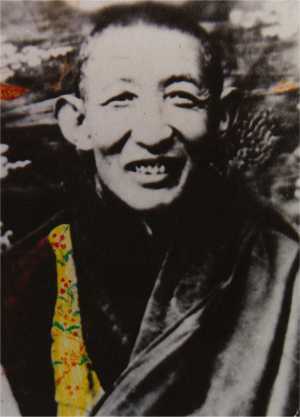 This succinct and down-to-earth piece of advice was written by Dza Patrul Rinpoche (1808-1887) for a student and friend who had asked him how he should practise. It sums up what real Dharma practice means - training our own minds, so that we can experience its results for ourselves, not to impress others. It also essentialises the View, Meditation, and Action of Dzogchen in a typically pithy, memorable way. My thanks to Ranyak Patrul Rinpoche for his own helpful advice to me when translating this text. Practical advice on how one should decide on the best, most beneficial course of action. This succinct and memorable piece was written by the famous nineteenth-century Dzogchen master Dza Patrul Rinpoche. I have added some explanatory notes on technical terms at the end. This version, revised in 2015 in collaboration with Adam Pearcey, supercedes the translation that first appeared here in 2009. Here is the Tibetan (also revised in 2015). This is a reverential petition (gsol 'debs) to the Dakini Yeshe Tsogyal, pleading for aid in facing dark times. It was written (I believe) by Jigme Trinle Öser, the first Dodrupchen Rinpoche, a close disciple of Jigme Lingpa. 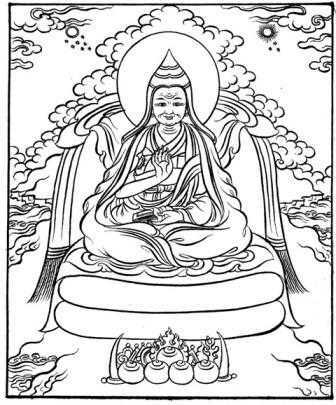 It often accompanies the practice of Yumka Dechen Gyalmo, the Longchen Nyingthig Dakini sadhana, in which Yeshe Tsogyal is the principal meditational "deity". As far as I am currently aware, this has not been previously translated. 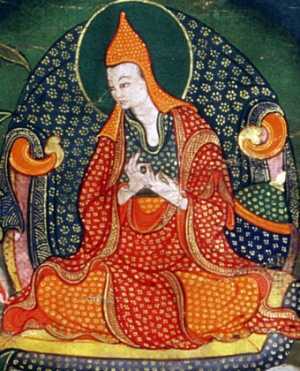 These prayers were written down by the fourteenth century tertön Karma Lingpa, and are traditionally recited as guidance to the dead and dying. The "Prayer Requesting Assistance from the Buddhas and Bodhisattvas," requests all enlightened beings to comfort those who are dying or who are suffering in the intermediate states after death (Bardos). "Root verses of the Bardo Tödral (Liberation on Hearing in the Bardo)" encapsulates the essential instructions on each phase of the Bardos. The "Prayer that protects from fear in the Bardos" appeals for the Buddhas' and bodhisattvas' compassionate refuge from fear. The "Prayer for Deliverance from the Bardo's Narrow Passage" outlines the experiences of the Bardo of Reality or Dharmata, in order to help the dead person to recognize the true nature of the visions that arise there. I referred to earlier French and English versions in my re-working of these texts, and also received useful clarifications from Ranyak Patrul Rinpoche. 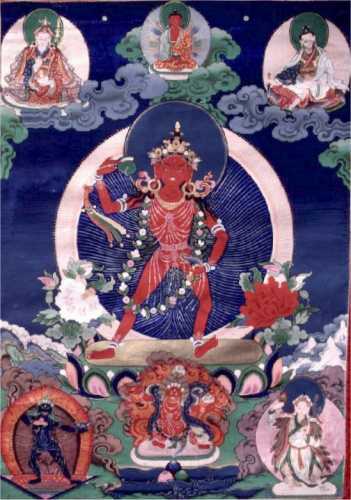 This is the Dakini practice from the famous Longchen Nyingthig Cycle, written down by Jigme Lingpa. 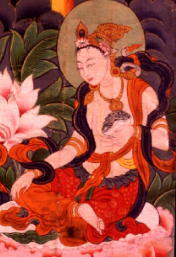 Although as a sadhana it is a Tantric practice, it is imbued throughout with the Dzogchen perspective. I referred to several earlier English versions, including that produced by the Dzogchen Shri Singha University, when re-translating this text. This is a brief version, omitting many prayers that customarily accompany the practice when it is performed in groups. Two short prayers written by the great Dzogchen master Dza Patrul Rinpoche. Unfortunately I do not know the exact circumstances in which they were originally written. They ask the Protectors of the Teachings for help in quelling discord and dissimulation in Dharma circles and in everyday life - a request as relevant as ever. May these texts bring happiness and lasting benefit to all who they reach.